Everything you ever wanted to know about Disney-Pixar's animated movie Inside Out! 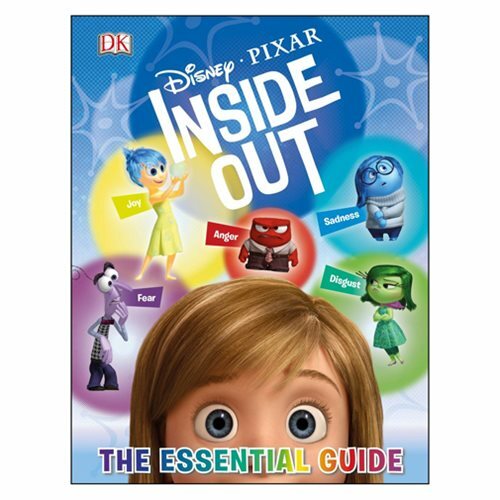 This Inside Out: The Essential Guide Hardcover Book is the perfect introduction to the movie. The 64-page book explores the key locations, themes, and iconic moments from the film and introduces a cast of funny, endearing, and engaging characters. You'll find Fear, Anger, Sadness, Disgust, and Joy. Presented in DK's lively and informative non-fiction style, it measures about 10 3/10-inches tall x 8-inches wide x 2/5-inch thick.